I had the pleasure of photographing Sarah and Adam's wedding on Sunday at St Michael and All Angels Church and Hartlip Place. In contrast to Saturday it was absolutely roasting (though still very windy) but, as a result, the sun was ferocious. We managed to sniff out some lovely light nonetheless! It was my first visit to Hartlip Place and I thought it was a lovely venue. 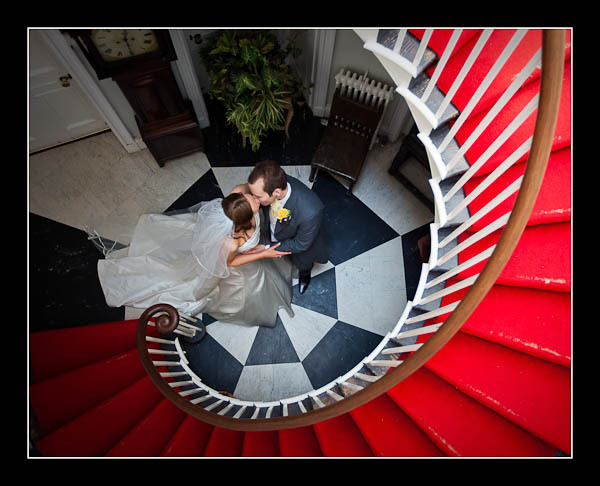 The owners kindly allowed us to get some shots on their wonderful staircase (as above) in the private part of the house. The gallery of Sarah and Adam's wedding at Hartlip Place is now available to view online. The non-Flash version can be viewed with this gallery.